Midget White Turkeys are massively large black bird. Just kidding, they actually are small and white, of course. They are the smallest standard variety of turkey, toms weight around 13 lbs and hens weight 8-10 lbs. Honestly they are only the size of a chicken! 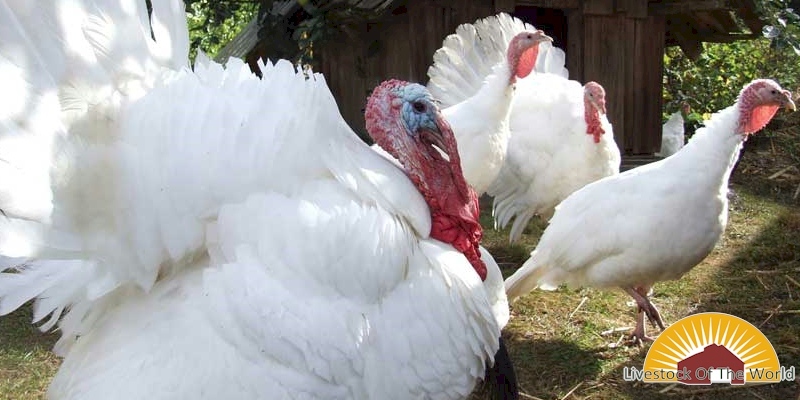 Midget white turkeys were developed in the 1960s by Dr. J. Robert Smyth at the University of Massachusetts Amherst. But there was not the expected demand for small turkeys and they were not successful. Hey are now classified as Critical by the American Livestock Breeds Conservancy, and they are included in the Ark of Taste, a catalog of foods in danger of extinction. In 2014 that Midget White turkeys were thought to be extinct until about 90 of them were found in Alabama. Midget White Turkeys are relatively friendly and are especially well-suited to being raised on small farms or in a backyard.